Operating partner Jessica Benefield, left, plates food while chef Chris Maldonado cooks in the kitchen during a VIP event at new restaurant Two Ten Jack located in Warehouse Row in Chattanooga. The restaurant offers ramen dishes and Japanese pub-style food. 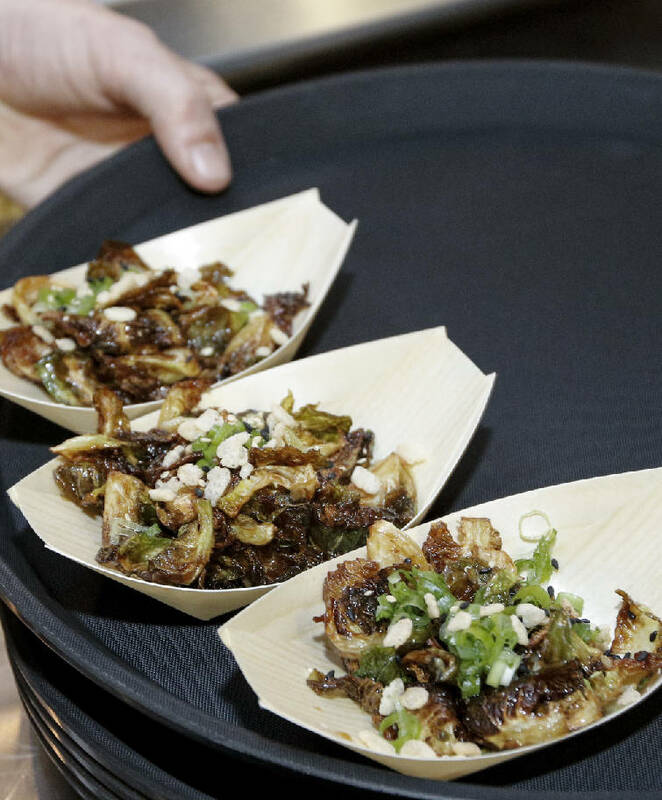 A crispy Brussels sprouts dish is put onto a tray for service at Two Ten Jack. 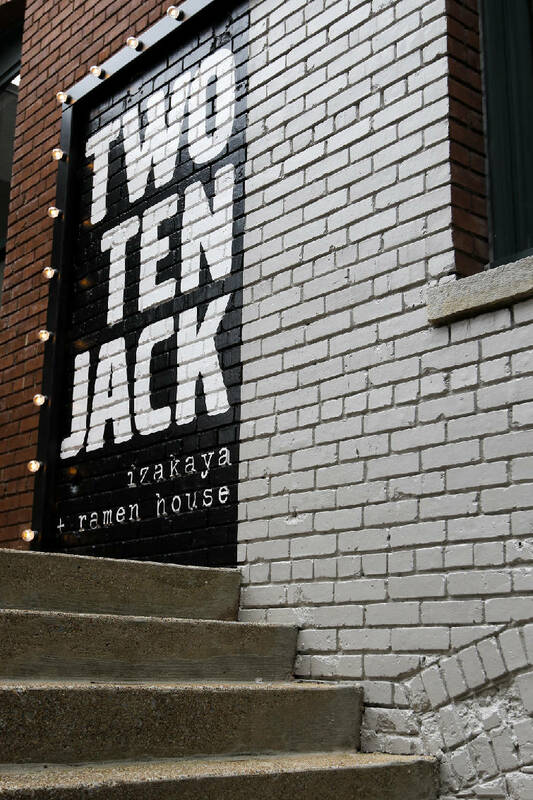 Stairs lead to the new restaurant Two Ten Jack located in Warehouse Row. "Warehouse Row continues to attract attention as a hub of innovation for downtown Chattanooga thanks to its strong balance of local and national retail options, regional food purveyors and innovative office tenants, rounding out our offerings for the region," said Michael Phillips, president of Jamestown LP, Warehouse Row's property manager.